There are those who seek to live a productive life and still avoid a hectic big city environment. They look to find a place to live, work and enjoy all that nature's beauty can provide. Northern Idaho is a prime destination for quality of life, economic opportunity and access to more populated areas via an Interstate that crosses two nearby States. Tucked away in Northern Idaho is a place many consider home. It is a small city, surrounded by mountains, endless forests and a clear and pristine lake. Its name is Coeur d'Alene and is taken from the tribe of Native People who traded with the early French trappers. The Native People were sharp businessmen and the trappers later said they had the "heart of an awl". The tribe today celebrates their ancestor's business sense with one of the most successful resort hotels in the country and they do it with warm and welcoming hearts. 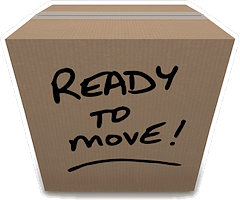 With so much buzz about Coeur d'Alene, Lake Coeur d'Alene Movers is here to provide five star moving services to or from Coeur d'Alene and across the lower 48 states. The city is often referred to as CDA; the location offers an awesome combination of scenery, climate and activities of all kinds for tourists and visitors. The Lake has several well equipped and professionally staffed marinas for sailing and water-based activities and a wide range of resort hotels which have waterfront views. Visitors can choose from B&B's cabin rentals, hotels with luxuries found only in large metro areas, and home and apartment rentals for longer stays (that can often turn into a happy relocation). The city's year round high quality of life and workable size make it a year-round stay-cation for residents. Businesses that supply and support not only other businesses but the year-round tourist traffic succeed and profit around here. The Chamber of Commerce lists the wide variety of businesses that the city's year round business climate supports. Housing prices run the range with a $315k median price (at the time of this writing). Currently 706 homes for sale are in the inventory (at the time of this writing). The cost of living is also very affordable, and schools have excellent ratings as well. Job growth is predicted to be high and the unemployment rate is below the national average. Relocating here is a good "move". The area will see a more discerning audience of those who value lifestyle and recreational opportunities and less development such as is happening in the Treasure Valley along the Route 84 interstate corridor where most of the State's population lives. The business climate here is welcoming. Idaho itself is ranked highly as an excellent place for small business. In fact, the latest estimates are that at least 97% of Idaho's registered businesses are considered as small to medium businesses; many are family owned or single operator. North Idaho is at the top of the list for business possibilities. A recent development in American lifestyles has been the "stay-cation". When gas prices soared many found local events to go to for leisure and recreation. Idaho has been the leader in this concept for years. Northern Idaho has so many opportunities to offer that living here has benefits for a high quality of life that few other places can even approach. Coeur d'Alene sits among several National Forests and Native Peoples reservations where traditions are still practiced and shared with visitors. The Lake itself is a remarkable place for water sports and activities from sailing and fishing to just enjoying a day at the beach, hike on a nearby trail, or biking on the famous Hiawatha Trail. As the Treasure Valley in Southwest Idaho continues to grow in popularity, more people will seek what the West once was. 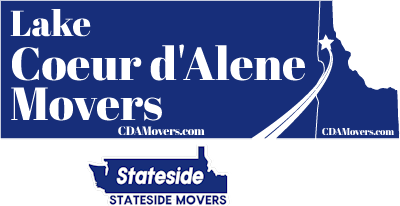 Coeur d'Alene will see more people who want to balance quality of life and productivity. Visitors will become residents and this place will continue to offer its beauty, lifestyle and opportunities to those who look beyond their bank account and see how good life can be. 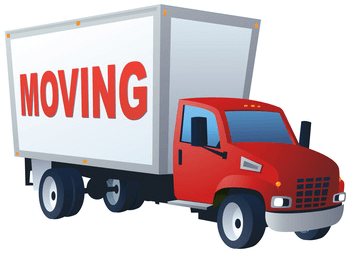 Whatever your reasons for moving here, Lake Coeur d'Alene Movers is a five star rated moving company offering long distance moving services to or from Coeur d'Alene and across the country.